The entirely new 2017 Volvo V90 Cross Country has just arrived, replacing the well-proven XC70 with stunning new sheetmetal, stylish LED headlamps and taillights, a more refined leather-lined interior, state-of-the-art electronics, and a technologically advanced powertrain. The V90 Cross Country rides on the same undercarriage as the multi-award-winning XC90 SUV and S90 mid-size sedan models, and is powered by the same turbocharged and supercharged direct-injection 2.0-litre four-cylinder engine used in top-level trims throughout Volvo's lineup, except for the XC90 SUV that boasts a 400 horsepower plug-in hybrid version of the same power unit in its highest trim level. In an attempt to draw attention to this all-new model, Volvo has come up with a creative ad campaign designed to lure us out of doors in order to "rediscover your passion in life". "You reach a point in life when you have to choose," says Thomas Andersson, Vice President Global Marketing, Volvo Car Group in a press release. "Career over passion. Work overplay. It's when surfers turn CEOs. Photographers turn lawyers. Fly-fishers turn doctors. Mountain climbers turn engineers. It's when you put a piece of yourself on hold. And as time passes, the things you used to love doing start to fade away. This is a reminder to not forget what you love. All the activities that you once embraced." The ad shows Volvo's new V90 Cross Country crossover as the ideal vehicle for living life fully, whether loading up our photography or fishing gear, strapping on our bicycles, surfboards or kayaks and so on, the active lifestyle message inspiring and therefore reaching a sizeable audience. "And then suddenly, when are about forty or forty-five years old in the middle life, you wake up one day and say, 'Huh?' I've arrived, and by Joe, I feel pretty much the same as I've always felt. In fact, I'm not so sure that I don't feel a little bit cheated. Because you see you were fooled. You were always living, for somewhere, where you aren't…" continues the monologue (see below for the entire transcript). Watt's Zen Buddhism-inspired philosophy of living life fully now instead of putting off anything you want to do until sometime in the future is apropos to the Volvo luxury lifestyle in many respects, and the V90 Cross Country an exceptionally stylish, comfortable, economical, environmentally friendly, and capable way to escape city life and find peace and tranquility amongst nature. 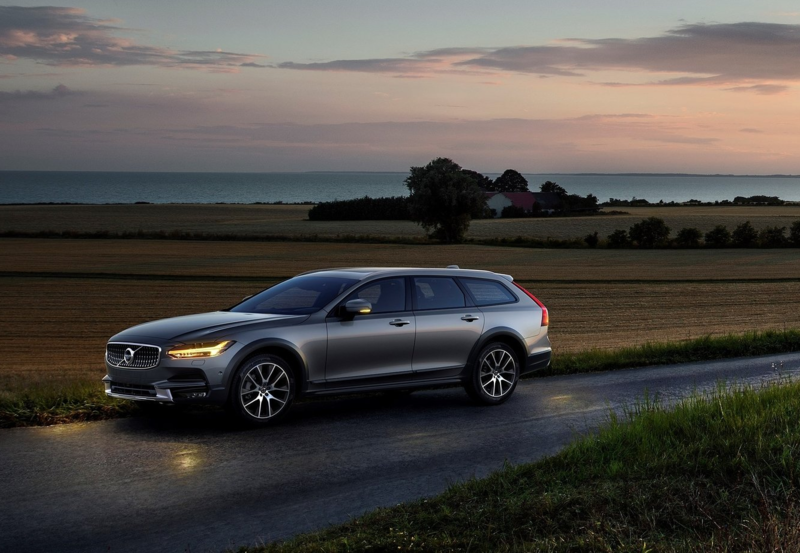 "Without clichéd images of rural terrain or off-road capabilities, the V90 Cross Country is presented as The Get-Away Car; a perfect enabler that helps people get away from their busy lives to reach that much-sought-after work-life balance," adds Andersson. The ad depicts upwardly mobile and already well-established achievers waking up and getting ready for what appears to be a regular routine day of getting ahead in life before a plot twist sees them departing in various new V90 Cross Country models for more appealing outdoor prospects. From international research, undertaken by Volvo Cars, the automaker tells us six out of ten people want to spend more time outdoors, whether hiking, running, cycling, or engaged in some other activity, with those who'd like to partake but don't blame work for consuming most of their time. 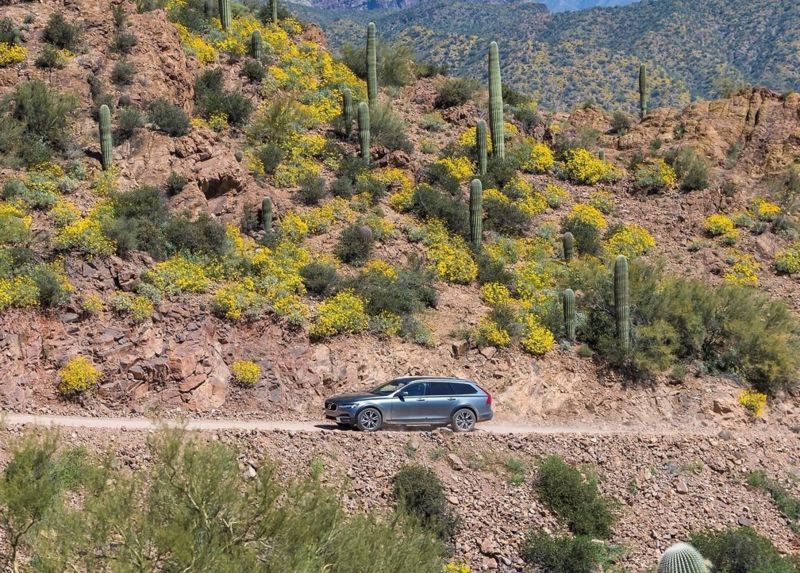 The new V90 Cross Country ad campaign encourages such people to rediscover "passions and adventures that they once loved and prioritized," says a press release. Much of the ad is filmed in Vancouver and the surrounding area, which is not only a hotbed for Volvo sales but also an outdoor mecca that attracts nature lovers from all over the world. Fittingly, the orator behind that scenery filmed a five-part Canadian TV miniseries called "Alan Watts on Living" in Vancouver before it aired on CBC Television in 1971, which shared his philosophical views on the detrimental nature of culture. The V90 Cross Country is a mid-size model based on the new V90 wagon. 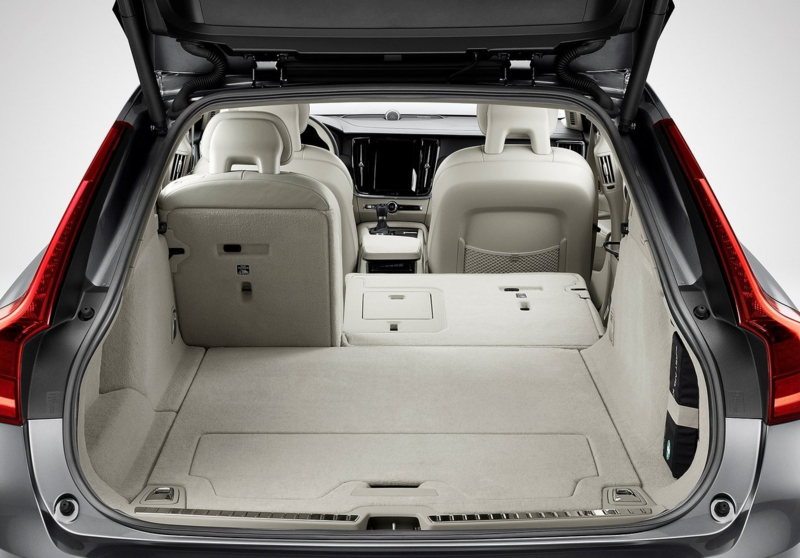 The V90 has no direct competitors in Canada, filling an important niche for Volvo that has long offered outdoor enthusiasts off-road capable wagons that combine light weight and therefore greater fuel efficiency and drivability with the passenger and cargo requirements of SUVs. The new 2017 V90 Cross Country is available in a single top-line T6 AWD trim level in Canada, incorporating one of the most advanced standard powertrains in the industry, it's turbocharged and supercharged direct-injection 2.0-litre four-cylinder engine pushing 316 horsepower through an eight-speed automatic transmission with "Geartronic" manual mode and standard AWD. Volvo touts a V90 Cross Country interior inspired by Scandinavian design, a CleanZone particulate- and odour-filtered "sanctuary" enhanced by an available Bowers & Wilkins premium audio system, accurate guidance via Sensus Navigation that comes as part of a tablet-style touchscreen infotainment system with full gesture control and the latest smartphone connectivity, occupant and pedestrian protecting active and passive safety systems such as Pilot Assist partial autonomous driving technology, front and rear collision mitigating support, and lane keeping assist, as well as standard 19-inch alloy wheels, full LED headlights with active bending, keyless proximity access, adaptive cruise control, rain-sensing wipers, four-zone auto climate control, heatable powered front seats with driver's memory, a powered liftgate, Volvo On Call telematics, self-parking, and much more for a base price of $61,900 plus freight and dealer fees. Visit Volvo of Vancouver at 8530 Cambie St, Vancouver, to see the new 2017 V90 Cross Country, or call (604) 325-1000.